Click the "Give Now" button to go directly to ur secure Giving Page. Learn about various giving opportunities on the page below. ​As always, please preyerfully consider what your best gift to God's Ministry should be. Now you can give to MLHS using your mobile phone. Download the "GivePlus Church" app and designate Martin Luther High School as your charity. ​﻿﻿All gifts that come to Martin Luther High School are very important to us and are handled with integrity and appreciation. 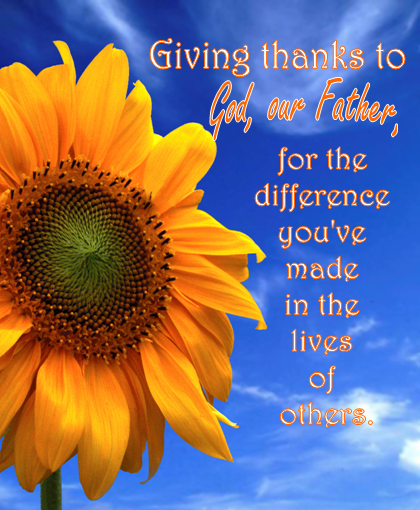 Gifts given today meet the day-to-day ministry needs. ​Unrestricted Gifts support the general operations of the MLHS Ministry. ​They fund the "unseen--but important" mechanics that keep the school running on a daily basis. Please consider giving regular gifts to support the ministry operations as they are the "nuts & bolts" that fuel the MLHS Ministry. Gifts given in memory of a loved one or friend also support the day-to-day ministry needs. Through the lives of loved ones, our ministry of touching the lives of teenagers is greatly enhanced. Memorial gifts provide essential support to the MLHS ministry. This difficult time is made much easier for the family by sending memorials directly to MLHS. The rainbow announcement card, informing the family of your gift, may be included in your sympathy card. It serves as the notification of your gift to MLHS. By using this gifting process, the surviving family doesn’t have to take time to distribute memorials to various charities. ​Download and print the MLHS card to include in your sympathy card here. Gifts given in honor of a loved one while they are living also strengthen the daily needs of the ministry. Special birthdays or anniversaries can be celebrated by recognizing the individual with a gift to MLHS. Please notify us two weeks in advance and we will send a celebration notification certificate to the one whose life you are honoring. Complete the form informing us who should receive the Honorarium Certificate by clicking here. 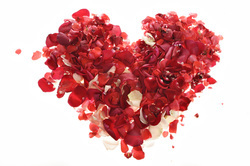 ​We will print and send a card on your behlaf upon receipt of your gift and completed form. Each year several thousand dollars is given out to families who qualify for scholarship awards. The dollars that fund these awards come from Endowment Funds income, LWML mites grant awards, special fundraisers and direct gifts designated for Student Tuition Aid. Your gift to the Student Tuition Aid Fund for the current year is fully tax-deductible and makes it possible for all teens to benefit from a Christian high school education. 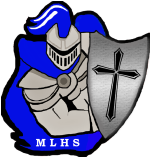 Consistent donations given on a monthly basis by Electronic Fund Transfer provide stability, allowing MLHS to run in a professional manner reflecting Christ-like integrity. Fellow Christians are asked to choose the MLHS Ministry as a charity worthy of their support. Download more information here and an enrollment form here. There are many opportunities for Christians to lay out a God-pleasing Gift Plan that will benefit the people you love and the Ministries that you cherish. Planned gifts can be designed to bless the God's ministries into eternity. They also provide an eternal testimony of your faith. Planned giving benefits are numerous when creating your gift plan. Above all is the opportunity to practice true generosity and Christian stewardship. This is done in joyful response to what the Lord has done for you. Also, it allows you to make the very best gifts to family and ministry. You can rest assured knowing that your wishes will be honored and that your earthly assets will be passed on in a way that makes sense and is helpful to those people and organizations you hold most dear. And third is that the expert LCMS Foundation gift planning counselors can show you how to make best use of tax laws and wealth transfer principles that maximize what you share with others and minimize what is eaten up in taxes and probate fees. The purpose of the MLHS Endowment Fund is to provide a place for people to place their large estate and planned gifts. These gifts will perpetually benefit the MLHS Ministry. They will be handled with confidentiality and used to further God’s kingdom. All undesignated gifts and bequests shall go into the Unrestricted Fund. These Unrestricted Fund uses include mission and ministry projects and programs approved by the Endowment Committee. *Donors may give to a “Named Fund” which is part of a restricted fund category that carries the name designated by the donor. The Named Fund category requires a minimum contribution of $25,000. The Donor Restricted Funds category shall require a $25,000 minimum contribution. The donor defines how the gift is to be used, how interest/earnings and principal are to be distributed and over what time period the distributions are to take place. Acceptance of requests by donors to make a contribution to a new unlisted category shall require an affirmative vote of two-thirds of the members of the Endowment Fund Committee and approval by the Board of Directors and shall be in an amount not less than $1,000. The Endowment Committee manages the Endowment Fund, with Board of Directors acting as overseers. Annual reports will be given to the Delegate Assembly. Reports are available from the MLHS office upon request. Donors are encouraged to include MLHS in their planned giving. Gifts in the form of Cash, Stocks and Bonds (Securities), Life Insurance and Annuities, Retirement Plans, Items of Property, Real Estate or Bequests from Trusts and Wills will be accepted. For information on how you can leave a lasting legacy to your loved and the ministries that you cherish, please contact Marge Thiesse, Associate Gift Planning Counselor/Christian Development Executive, LCMS Foundation at margethiesse@martinlutherhs.com. For more information visit The Lutheran Church-Missouri Synod Foundation at www.lcmsfoundation.org.